A few weeks ago, we talked about all the choices we make everyday in our lives. And how those choices are what really define who we are as a person, and how it’s a direct reflection of our stewardship. I also mentioned that it seems like we rarely talk about stewardship in our sermons anymore. Perhaps when we started using the phrase, “A Generous Disciple” and other words like, “generosity” we may have forgotten about referencing stewardship. I recall several years ago, when I was attending a Bishops and Mission Center Financial Officers conference in Independence (not all MCFOs are bishops), the Bishopric brought in several guest speakers. Some to give us information, and others to give us motivation. One of the motivational speakers, was a well-established evangelist in our church hierarchy, who was known for his exciting speaking skills and his giftedness to put words in places that inspire. I won’t mention his name, but just for reference, let’s pretend his initials are “DB” for our discussion. 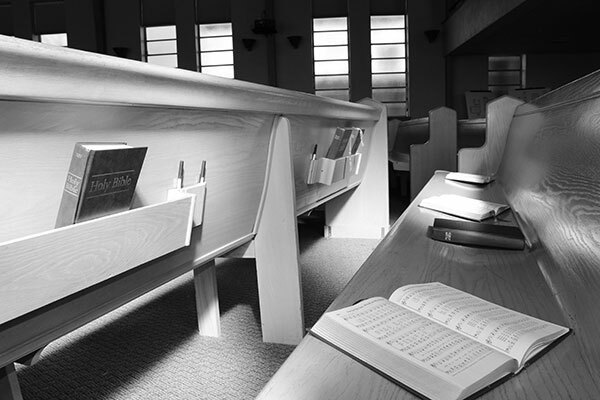 At that meeting, it was brought up that folks don’t want to hear about stewardship on Sunday mornings, and that perhaps we should look for other opportunities to teach it. DB disagreed, and went on to tell us how important it is to talk about stewardship in our sermons, and that in fact, every sermon we preach should be a sermon about stewardship, because our discipleship and stewardship are connected and dependent upon each other. It was a wonderful speech to hear. We were all inspired. That Sunday, my wife and I attended the worship service at Stone Church. Guess who was scheduled to be on the rostrum speaking that day? You guessed it, ole DB himself. What a wonderful message he brought that morning. Quite honestly, I don’t remember what it was about, but I do remember what happen afterward. After several minutes of standing in line to shake the speaker’s hand, I finally made it to the front to give him the positive results that his message brought to my ears that morning, and to say thank you. Now keep in mind that DB didn’t know me from Adam, and that I highly doubt he even noticed me in a room of 40 or 50 people a couple days earlier when he gave that inspiring speech on stewardship. I shook DB’s hand and said, “wonderful sermon on stewardship this morning, reverend.” And at that moment, he looked at me like I just fell off a turnip truck, and then eventually said, “thank you?” He had no idea what I was talking about. I just winked at him and made my way to the exit. But you know what? Ole DB is absolutely right. I think every scripture we can read, and every sermon we can preach, really has a message somewhere in it about our stewardship. Let me give you an example. How often do we talk about the parable story of the Good Samaritan (Luke 10:27-45)? It’s a very familiar story, and we use it quite a bit as an example of what it means to be “Christ-like.” Well, that happens to be the scripture story that I refer to most often when I want to talk about stewardship and generosity. Take time this week to read this story and then make some notes on why this is really a stewardship story. We’ll pick it up in the next post and go a little deeper.